The Janome MC400E makes it easy to personalize, embellish and monogram home décor items, garments and accessories. 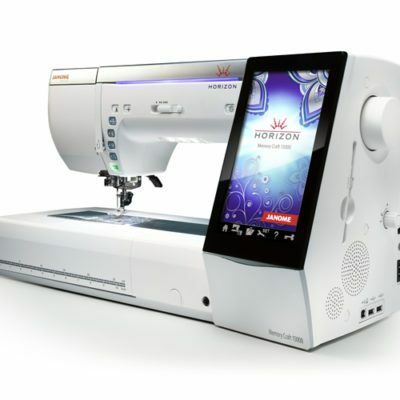 With 160 built-in embroidery designs, 6 fonts for monogramming and a USB for importing designs, the possibilities are endless with this machine. The MC400E has a maximum embroidery size of 7.9” x 7.9” and it comes with an extra wide table for expansive workroom. Four additional hoop sizes are also available. 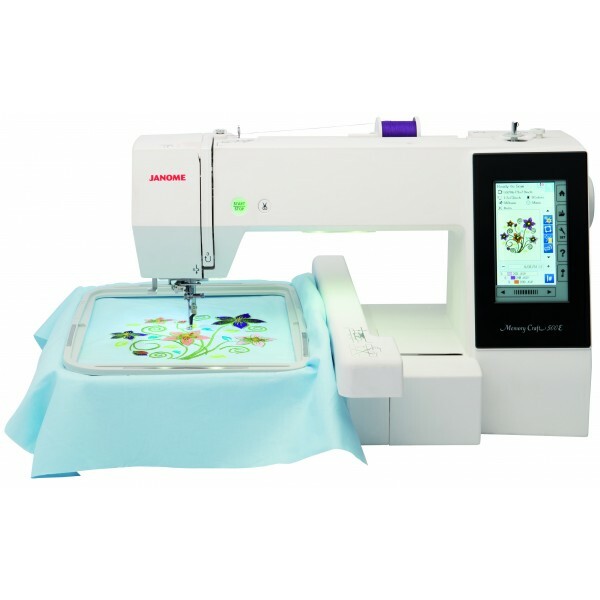 The Janome MC400E has an embroidery speed up to 860 stitches per minute, and many powerful features to ensure precision and accuracy such as a programmable jump thread trimming, adjustable speed while embroidering, flexible stitch traveling by units of 1, 10 and 100, direct jump to desired stitch point, auto return post thread break and adjustable hoop positioning. This innovative embroidery machine also has a long list of timesaving features all designers will love such as a built-in advanced needle threader, automatic thread cutter, easy set bobbin, bobbin winding plate with cutter and a bobbin thread sensor.